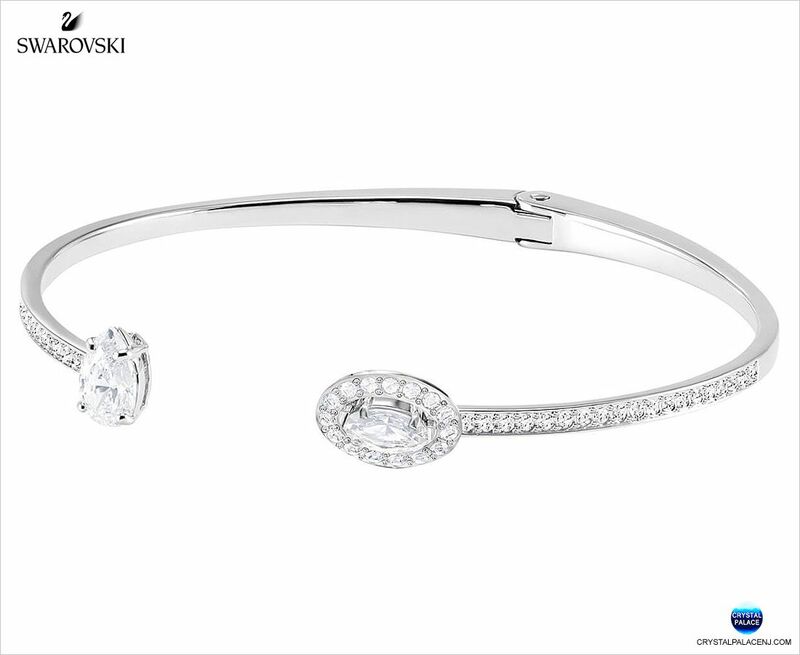 The timeless elegance of Swarovski craftsmanship and a contemporary asymmetrical silhouette combine with aplomb in this stunning open-shank bangle. The hinged rhodium-plated design is punctuated with a pear-shaped clear crystal at one end and an oval-shaped stone at the other. Sparkling pavé adds luxurious finish to the cuff, which is simultaneously modern and classic. A fabulous gift idea, especially when combined with the matching items from the range.